Celebrating our 57th Year in Business! Providing finely crafted kitchens and millwork since 1954. No prefabricated stock cabinetry that you would find at the big box retailers. All of our work is performed in our on-site shop with locally skilled cabinet makers using the best materials from the USA. Our on-site manufacturing facility allows us the unique flexibility of design and seamless flow through the design, manufacturing and installation process. 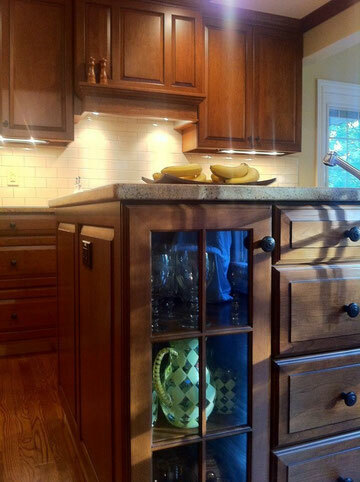 Stock cabinets may be less expensive, but the quality of our work is far superior. Our kitchens are built to stand the test of time with quality materials and methods. You can't put a price on quality and our products provide the best value for your dollar. Our staff, with more than 50 years combined experience, will guide you through the complete process from design inception to installation. Whether it’s a kitchen, bath, office, fireplace surround or any other cabinetry need, each step is made easier knowing that your absolute satisfaction is our top priority. Our custom designs will reflect your personal style. From traditional to modern, we do it all, and do it well. imagine. If it's made with wood we can do it. Contact us to schedule a free consultation or visit our showroom to see why customers have been using Hawthorne Kitchens for the last fifty seven years.